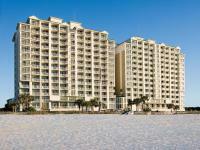 Here are the top hotels for your Myrtle Beach beach trip! 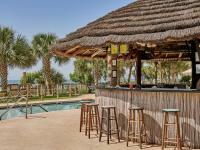 This relaxed beachfront resort is 4 miles from shopping and live entertainment at Broadway at the Beach, and 4 miles from Ripley's Aquarium. 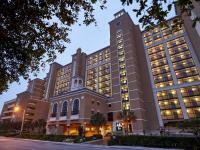 The guest rooms feature balconies, flat-screen TVs and free Wi-Fi, plus microwaves, coffeemakers and minifridges. Dining options include a pizzeria, a cocktail bar, and a casual restaurant with ocean views. 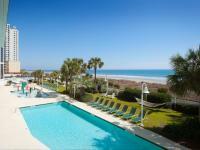 There are indoor and outdoor pools, and hot tubs, as well as a lazy river, a beachfront deck and a gym. Spa treatments are available. A 10-minute walk from Myrtle Beach Convention Center, this modern high-rise, all-suite hotel is also 13 minutes' walk from bars, eateries and shops on Myrtle Beach Boardwalk. The contemporary suites offer Wi-Fi, flat-screen TVs and separate living rooms with pull-out sofas, as well as fully equipped kitchens, washer/dryers and balconies. 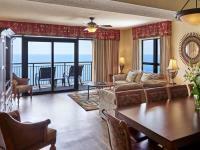 Upgraded suites add ocean views. There's a pool bar, a lobby lounge/bar and a deli serving snacks. Other amenities include a fitness center, outdoor and indoor pools, a whirlpool and a business center. This beachfront hotel is 2 miles from Myrtle Beach International Airport and 5 miles from the Broadway at the Beach shopping venue. The airy rooms include free Wi-Fi and custom-designed beds, as well as flat-screen TVs with HD channels, full and lap desks (for working on the bed), microwaves, coffeemakers and balconies with rocking chairs. Free on-site hot breakfast (daily) and weekday breakfast bags to go are offered, and there's an fitness center with ocean views that features 7 pools with 2 lazy rivers. Other amenities include a spa, a kid's club and 3 meeting rooms, plus a free airport shuttle.